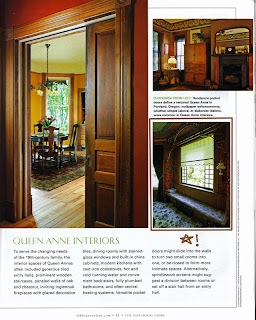 The current issue of Old House Journal has published a wonderful guide to the 'stewardship' of maintaining an old house. The special edition includes guides and ideas on Planning, Restoring and Decorating you old house with expert opinion and "how-to's." You can find the guide on magazine shelves at local book stores like Barnes&Noble and Borders through Feb 11, 2011. But don't miss page 81. Look at the lower right picture and you'll recognize the rear parlour of our Grand Victorian! (Hint: we've marked it with a star.) This page is highlighting delightful Queen Anne interiors - and in this case the elaborate spindlework and wallpaper found in the Grand Victorian. 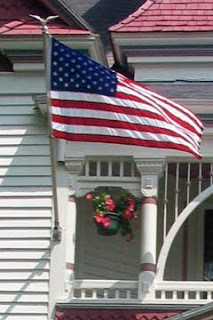 You can visit our recognitions page and click on the picture to see a larger view of the page. 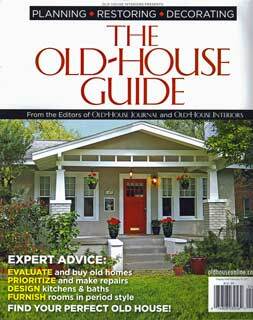 The guide incorporates articles and checklists from Old House Journal's best issues and includes great guidelines for identifying, selecting and purchasing an older home as well as performing renovation once you're in it. Jam-packed with valuable information, we suggest this guide as a great read for anyone with a passion for purchasing and/or renovating an older home!